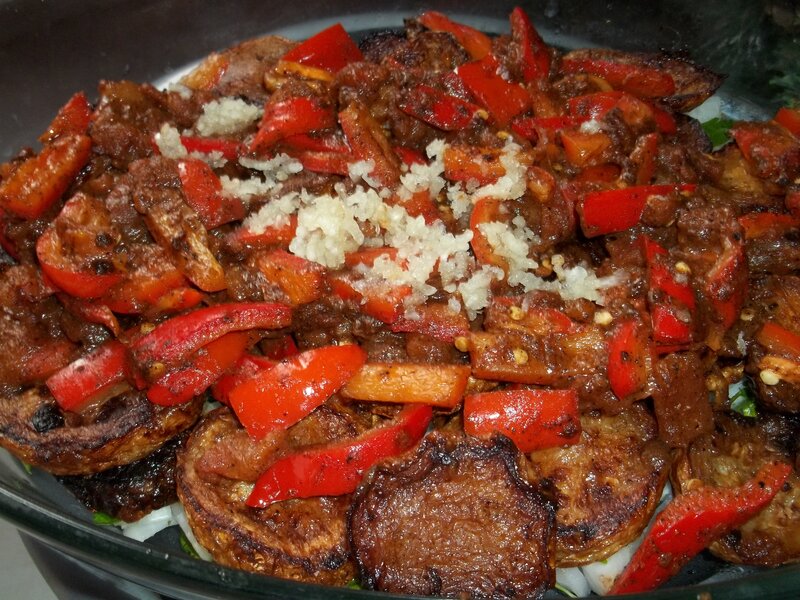 In this recipe we will show how to make a popular Georgian family dish called Khabakhi (Georgian: ყაბაყი). 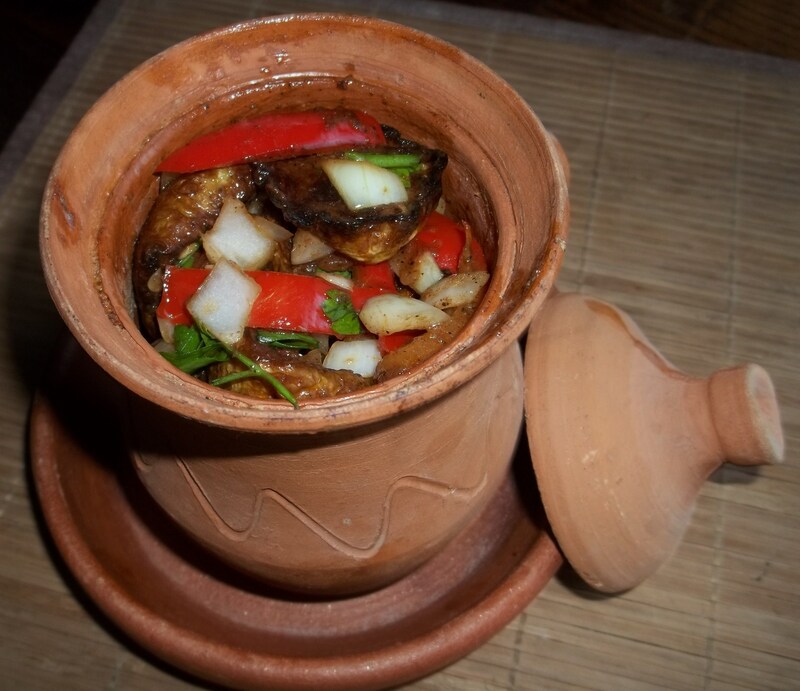 It is made with marrow fried with vegetables and spices. 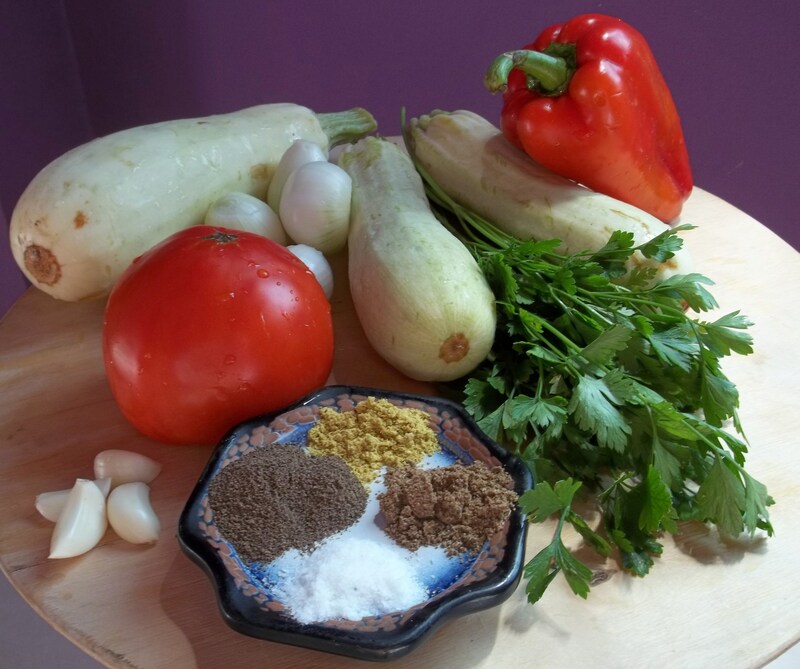 Ingredients (serves 3): 600 grams of marrow, 1 large sweet pepper, 150 grams of white onions, 1 large tomato, 70 grams of fresh parsley, 4 cloves of garlic, 100 ml of oil, 2 tbs of vinegar, half tsp of dried coriander, 1 tsp of black pepper, half tsp of dried Blue Fenugreek, salt (according to taste). 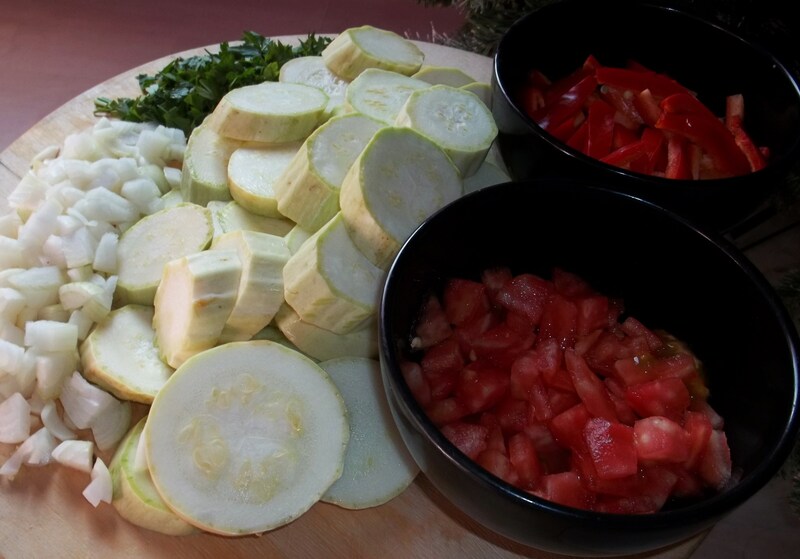 Preparation: Chop the marrow and other vegetables as shown in the picture below. Add oil and chopped marrow to a pan. 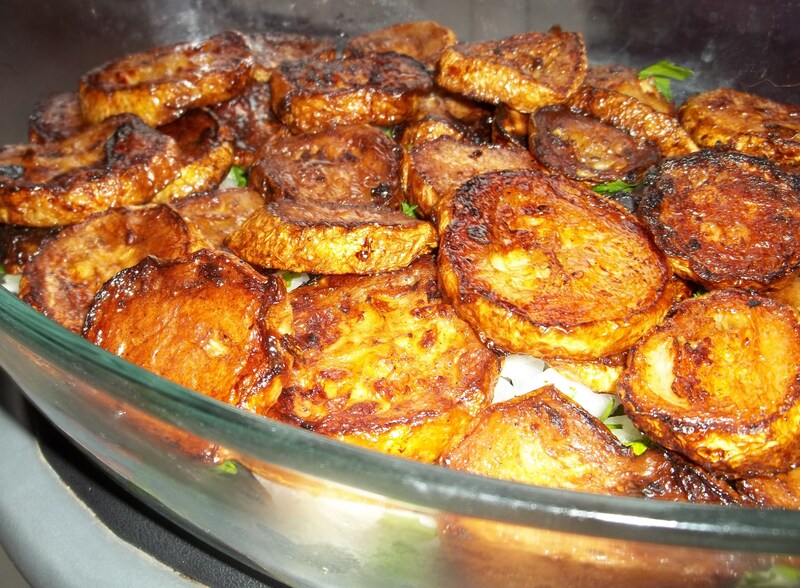 Sprinkle with salt and fry on both sides until the marrow is a crispy brown. 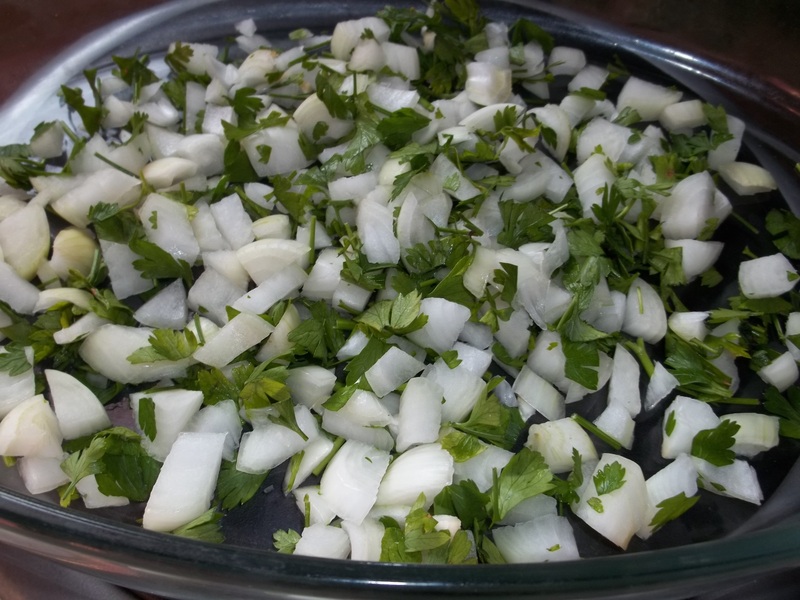 Mix the chopped onions and parsley in a bowl. 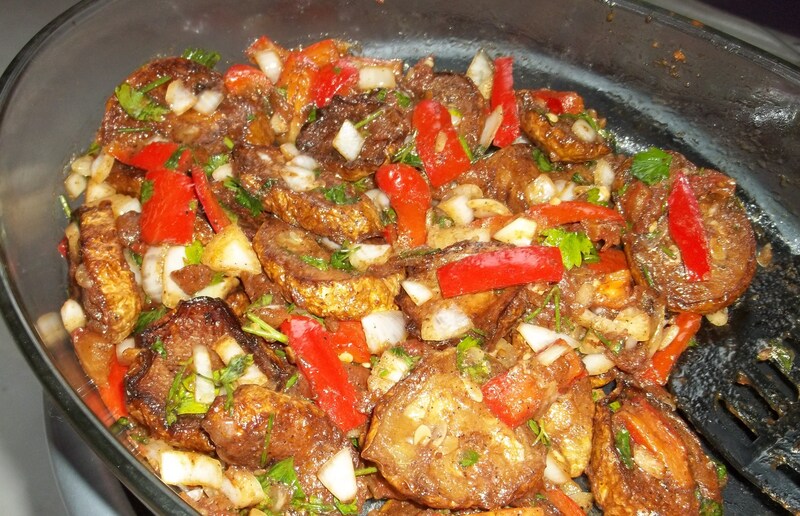 When the marrow is cooked, place it on top of the chopped onions and parsley and sprinkle with vinegar. 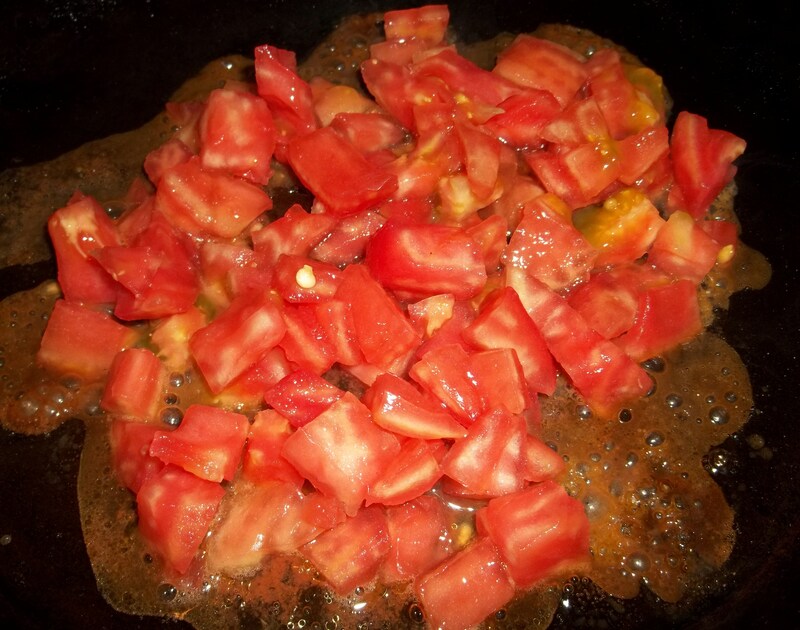 Add a little oil to a pan and when hot add the chopped tomatoes and stir continuously for 2-3 minutes. 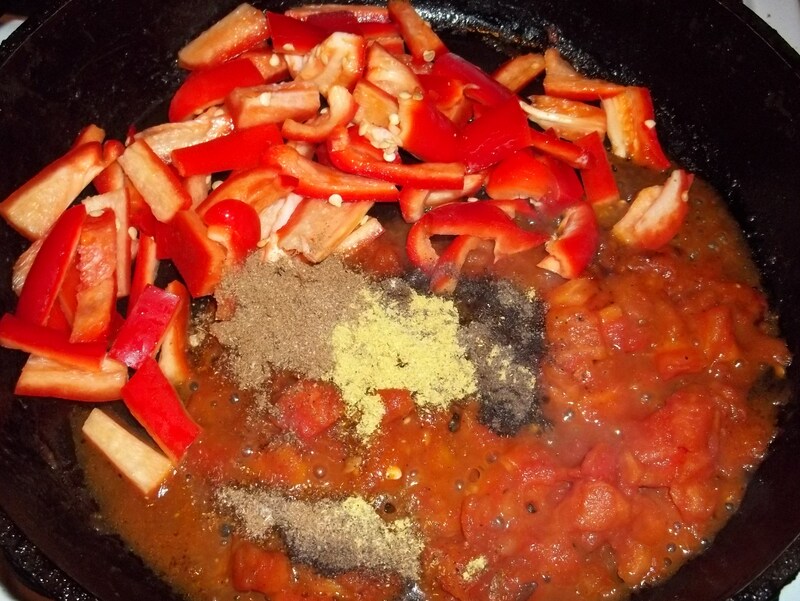 Add the chopped sweet pepper and spices and stir for 2 minutes on a low heat. 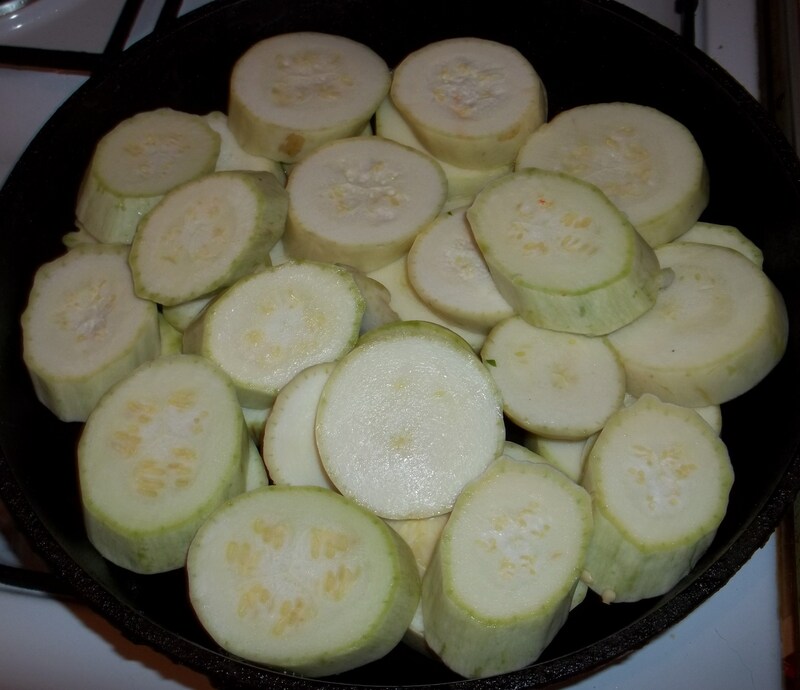 Remove from pan and add to the bowl containing the cooked marrow and onions. Add crushed garlic. Serving: Leave for 10 minutes to allow the flavors to fully blend and then serve. 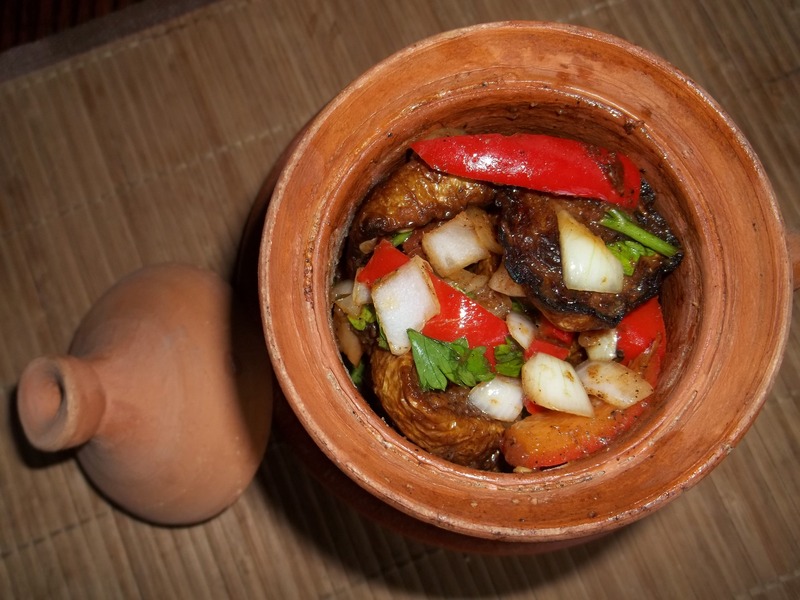 We served ours in individual pots. Khabakhi is delicious hot or cold! We eat ours with Georgian Shotis Puri bread.